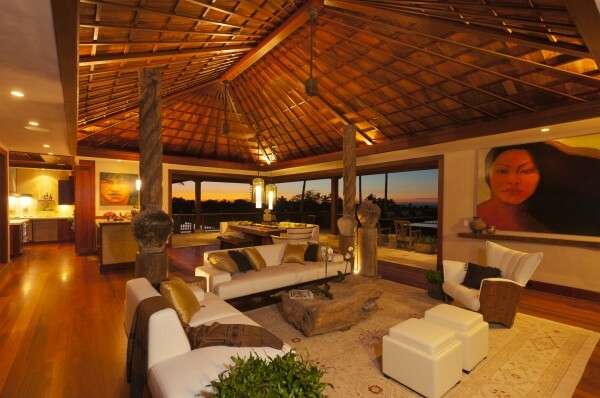 I’m excited to announce that Hale Ku Mana, or House of Spiritual Healing, a custom Hualalai luxury estate on Kohala’s “Gold Coast,” will be sold during a live auction on March 18th in cooperation with Concierge Auctions. 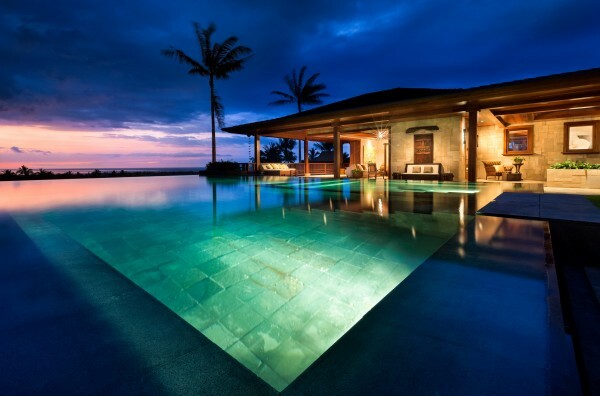 Hale Ku Mana pool at sunset. 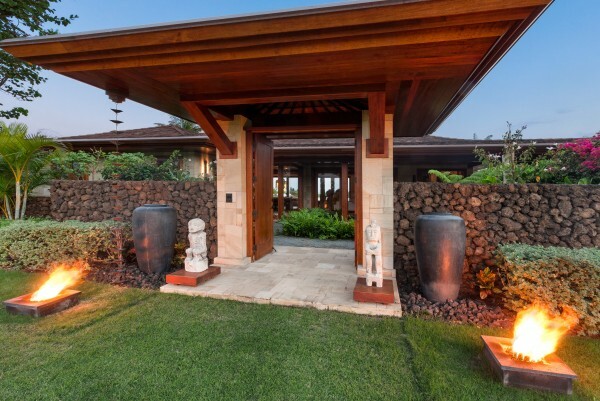 In previous blog posts, I’ve written extensively about the many wonderful aspects of this exceptional Hualalai property, from the abundant native Hawaiian landscaping to the close proximity of PGA golf events. Hale Ku Mana front entrance. Originally offered for $18.5 million, the 1.33-acre estate features 10,056 square feet perfectly designed to capture the essence of Hawaiian living. The property is adorned with Balinese antiques, custom-made furniture, and original paintings commissioned specifically for the home. This house has absolutely everything one can imagine needing to live a luxurious Hawaiian lifestyle. Located at 72–130 Hokuloa, the property is surrounded on three sides by the members-only Ke‘olu Golf Course. It’s completely private, the landscaping is immaculate, and each of the five bedrooms is a master suite, four of which have ocean views, which is rare. Hale Ku Mana is carefully designed and crafted to provide flowing indoor and outdoor living spaces that exude tranquility and give the property its tropical paradise feeling. 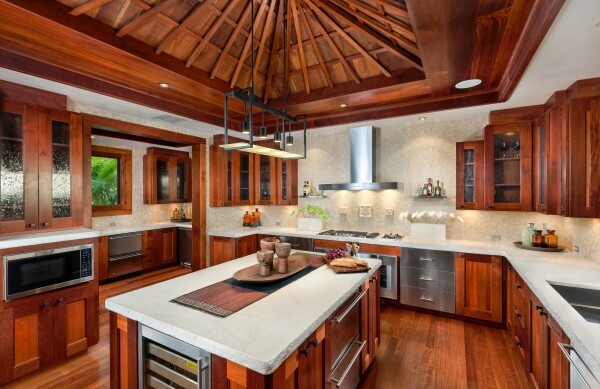 The home’s palette of finishes is based on natural materials primarily from Indonesia. Luxurious touches include a gourmet chef’s kitchen with a built-in espresso machine, wine refrigerator, and a butler’s kitchen with additional appliances, washer/dryer, and a separate entrance. This kitchen would make any gourmet chef happy. Three of the four guest bedrooms have their own lanai. All the guest bedrooms feature indoor/outdoor bathrooms, privacy walls and ocean and/or mountain views. 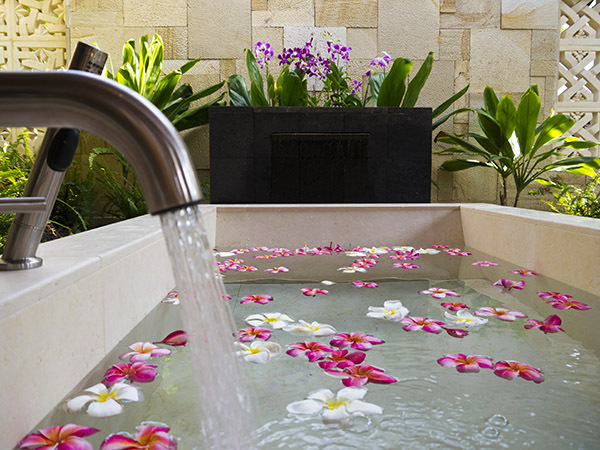 The master suite includes the master bedroom, an office and a master bathroom that Forbes Magazine called “one of the most amazing bathrooms in the country.” Encompassing 1,000 square feet and embracing a Balinese theme, two sides of the bathroom lead to a garden with native Hawaiian plants and privacy walls. I’m excited to work with Concierge Auctions, who are experienced in the transfer of some of the island’s most premier properties. In fact, they’ve handled 24 sales throughout Hawaii in just the last few years. The auction of Hale Ku Mana will be held live on March 18th. A 2.5% commission is offered to the buyer’s representing broker. The property will be open for preview daily from 2pm to 4pm by appointment. For more information, including details on the Auction Terms and Conditions, go to HualalaiAuction.com, call 877.762.9436 or join the discussion at #HualalaiAuction. It truly is a one-of-a-kind home that requires an equally unique buyer on auction day. I’m looking forward to March 18th and encourage all interested parties to get involved now!